If Old MacDonald had a farm, this would be it! Have the best of both worlds, country living just outside the city. 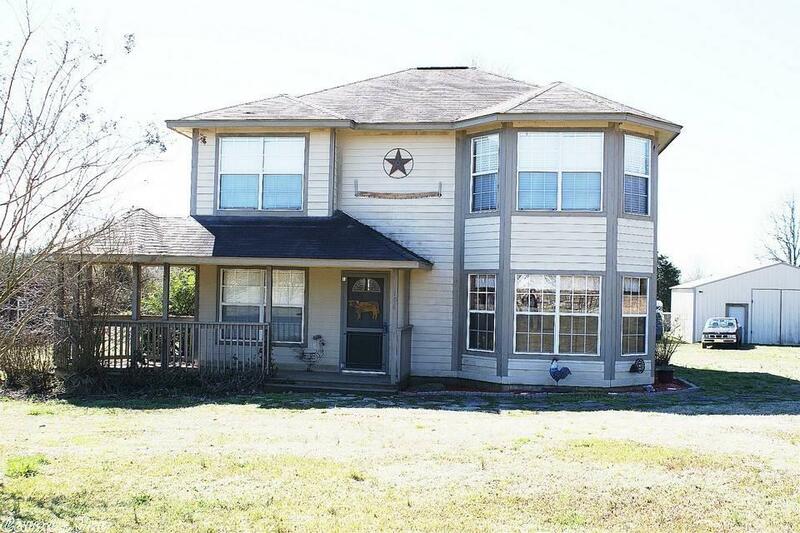 This rustic two story 3BR/2.5BA 1725sqft home is nestled among a working ranch on 4.32 beautiful acres. 100 foot covered front porch for outdoor cooking or just a swing. Amazing outdoor space with large barn, shop building with 2 large swinging doors, walk through, and electricity. Property is fenced and cross fenced. Must see to believe.